This month I’ve picked two striking new titles from across the globe to share with you: Somi’s The Lagos Music Salon and Zara McFarlane’s ‘If You Knew Her’. 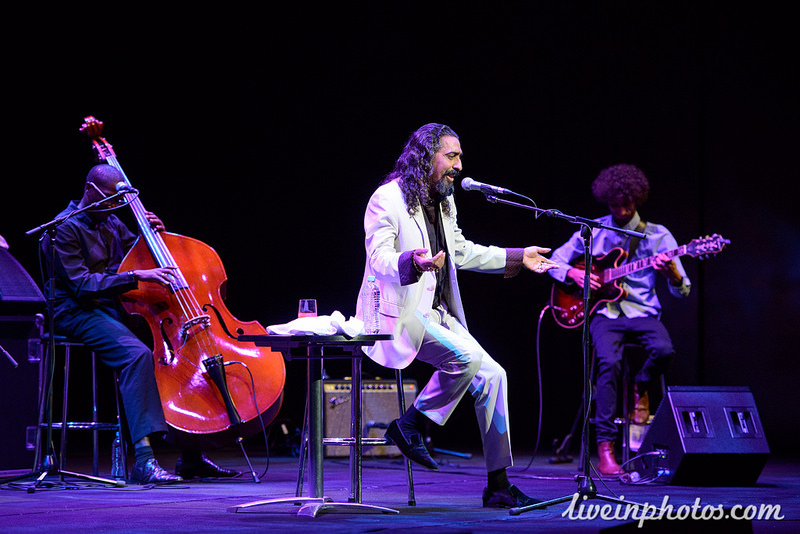 Being pretty flat out with my album release over the past month I didn’t catch as many gigs as usual however I did manage to see Diego El Cigala‘s debut Australian show at the Arts Centre Melbourne. 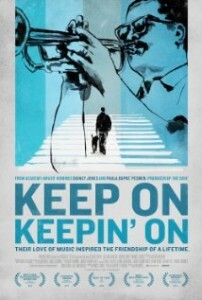 I was also lucky enough to catch the Keep on Keepin On documentary on Clark Terry at the Melbourne International Film Festival. Firstly though, the music. 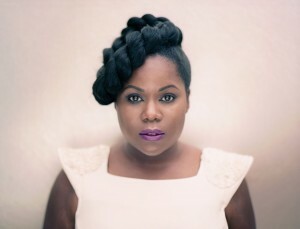 My newest musical discovery and girl crush official – the incomparable Somi. 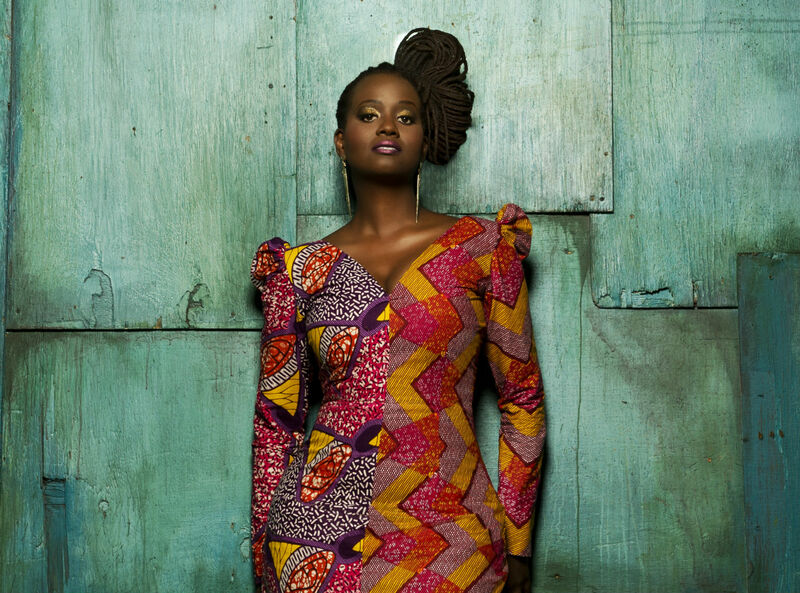 New York based vocalist and composer, daughter of immigrants from Uganda and Rwanda and an avid student of jazz, life and politics, her cross-continent genre-hopping album is an absolute masterpiece. 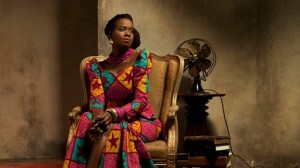 Her debut release for the re-launched Okeh label, “The Lagos Music Salon” is a result of Somi’s 18 months pilgramage to Lagos. 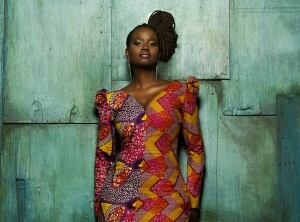 The album captures the magic of Lagos and in Somi’s words the ‘spell it cast’ over her heart. This album has captured mine. Beautifully self-produced the album fuses jazz, afro-beat and soul with layers of lush strings, percussion, spoken word and soaring vocals. At times Somi’s vocals rise up to virtuosic floating high notes, at other times we hear her layer up multi-parts vocals in a gorgeous smooth Sade-style wall of sound style and at other times we hear a more intimate spoken word performance. She never over-sings, her delivery is eloquent, heartfelt and perfect for the compositions, all co-written by Somi with a cleverly chosen team of writers. Album highlights include “Lady Revisited” featuring Angelique Kidjo, an afrobeat tribute using Fela Kuti’s lyrics in the chorus, against a huge dance groove afro-pop fusion feel. “Brown Round Things” is a moody stripped back piece simply delivered with vocals, trumpet and piano and a powerful lyrical story. So impressed with the musicality and interplay between the vocals and Amborise Akinmusire’s horn work on this song. Another favorite is “Ginger Me” an incredibly romantic, heart sweeping song. Love the imagery in the lyrics, the sublime production, the backing vocals and the lilting piano throughout. Swoon. Also in the mix are some field recordings, adding to the work a real feel for the city – we hear an airport immigration officer, stories about monkeys and rally protest sounds. I now furiously want to visit Lagos, described in the album notes as an “inspired and magical place that expresses itself in art, fashion, literature, film and, above all, music”. Somi thanks the city in her credits “You were always honest with me, always unabashedly proud of your complicated beauty. Thank you for reminding me to try to do the same”. The album is simply stunning. It is beautifully put together and produced. You can hear so much passion, love and depth of feeling throughout and its incredibly inspiring to come across an album like this. It is musical, emotive and downright impressive. The artwork, styling and photography is also fabulous and adds perfectly to the music. If I lived in New York I would have frocked up and headed to her album launch party. I hope Somi brings her salon to Australia and I truly hope she wins a grammy for this album. 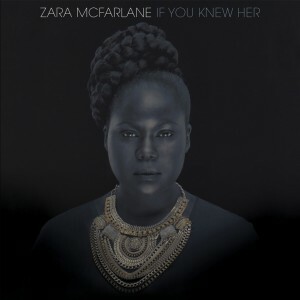 A sonically sparser sound than the Somi production but no less stunning is the new album from Britain’s Zara McFaralane. Championed by DJ, broadcaster and tastemaker Gilles Peterson “If You Knew Her” is McFarlane’s second album on the Brownswood recording imprint and it doesn’t disappoint. Born to Jamaican parents, raised in Essex and trained in theatre, Zara’s mix of influences range through music theatre, ska and reggae and this new album allows her to explore new territory and songwriting styles. Production wise the instrumentation is really quite sparse at times making a lot of room for very intimate vocal performances.Highlights include the uptempo “Angie La La” featuring Leron Thomas. Her arrangement of “Plain Gold Ring” is a stunning stripped back version with gorgeous backing vocals and light percussion over double bass. “Police and Thieves” is another highlight featuring a stunning saxophone solo and thought provoking lyrics. This is a timeless album. Highly recommended. What a man! What a voice! 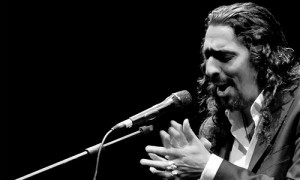 I was first introduced to the incredible sounds of Domican-Spanish flamenco vocalist Diego El Cigala (He earned his nickname the ‘Norway lobster’ from his guitarist buddies for being so lean) during my first trip to Spain back in 2005. I was instantly captivated by the emotional quality in his voice and the mix of flamenco and tango in the arrangements. I was an instant fan, picking up a copy of Picasso en mis ojos (Picasso in my eyes) straight away which Diego deservedly won a Latin Grammy award for the following year. His passionate delivery and the raspy timbre combined with his sheer strength and exciting delivery make his vocal performances captivating. I was very excited about his long overdue visit to Australia and thrilled I was able to attend the show. I was fortunate to meet Diego the day before the show. He came in to the PBS studios to do an interview on the Latin Connection program with Mick Williams. Saul Zarvace from PBS’s Fiesta Jazz show assisted with the interview to translate. Seeing these three chaps shoot the breeze for over an hour in the studio next door was an absolute joy. There was a lot of laughter, back slapping and jokes – Diego completed the interview by saying he hoped he would have half as much fun at the gig as he had during the interview. After their recording I said hi to Diego and told him how much I loved his records – I got an enthusiastic hug and two kisses in return, what a charmer! Listen back to his interview on PBS FM’s Latin Connection program if you missed it! The show did not disappoint. 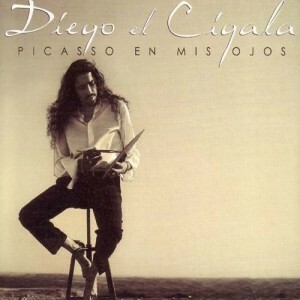 I don’t speak a bar of Spanish so obviously Diego’s lyrics are lost on me but it didn’t seem to matter. The sounds of heartbreak, pain, anguish and suffering and also humour and joy are universal and Diego brought all of that and more to his show. Playing many tracks from his latest Romance de la Luna Tucumana album the show was more latin jazz fusion than flamenco featuring jazz guitarist Dan Ben Lior rather than a flamenco guitarist. I believe Diegos’s regular flamenco guitarist was unavailable to make the show hence the arrangements were softer jazz versions of the tracks. Pianist Jaime Calabuch, bassist Yelsy Heredia and percussionist Isidro Suarez played beautifully and I loved the entire show. Diego is quite the performer, very charismatic with cheeky and fun banter inbetween his dramatic and emotional songs. Known as the Frank Sinatra of flamenco, he had the Spanish speakers giggling away with his commentary. Apparently after the show he was hanging out at Arte Kanela bar on Johsnton Street with the Tedesco brothers, which would have been amazing to see! If you get the chance to see Diego live, don’t miss it. Wow! I absolutely adored this heartwarming documentary paying tribute to jazz legend Clark Terry. The film starts off like a standard music documentary with interviews from fellow musicians commenting on Terry’s career, archive pictures and video excerpts from concerts and television appearances. But then it develops into so much more. We see Clark’s devotion and commitment to his university students and in particular his relationship with his blind piano prodigy Justin Kauflin over four years of filming. We see these two jamming standards, chatting away and supporting each other through Terry’s health issues and Kauflin’s stage fright. A film highlight includes a drop in visit from Quincy Jones. The banter between Terry and Jones is hilarious, the 92 and 80 year old (respectably) swear and stir each other up like they are still kids – the love and respect they clearly have for each other is touching. I wont divulge the entire film but suffice to say there are some gorgeous emotional moments (I got teary twice) and some excellent musical performances. I can’t wait to see it again. To my surprise the MIFF session ended with a Q&A with producer Adam Hart and I was so excited to learn the film was produced and directed by two Australia guys and hear insights into the production and filming process. The way they have put the film together is stunning – unobtrusive, respectful and dignified and the amount of work and love that has gone into doing the story and the film justice is inspiring.